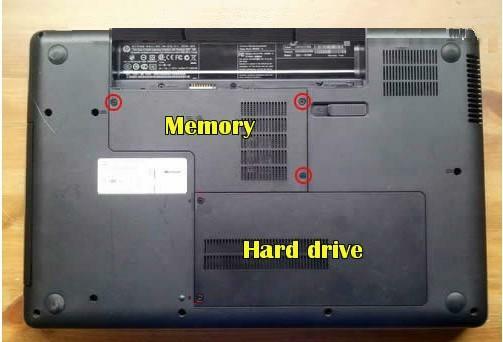 In this case, the actual laptop is HP G62. Compaq Presario CQ62 is very simlar, and the keyboards of HP G56 and Compaq Presario CQ56 are the same with HP G62 keyboard, I suppose the guide also can work on these laptops. You can find the new HP G62 / Compaq Presario CQ62 keyboard here. 1. Shut Down your HP G62 / Compaq CQ62. Disconnect the power adapter and remove the battery. Turn the laptop upside down. Loosen three screws securing the memory covers. 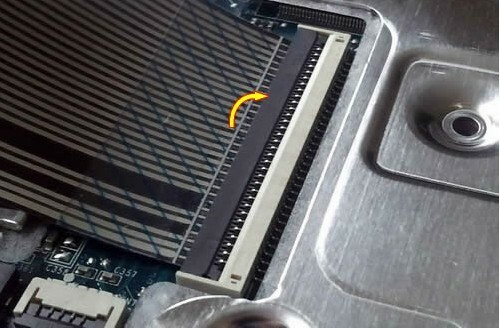 Remove the memory cover. 2. 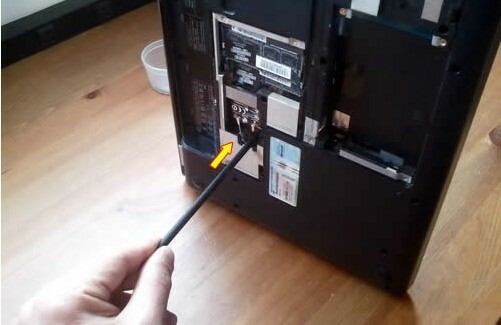 Remove six screws securing the keyboard on the bottom of the laptop. 3. 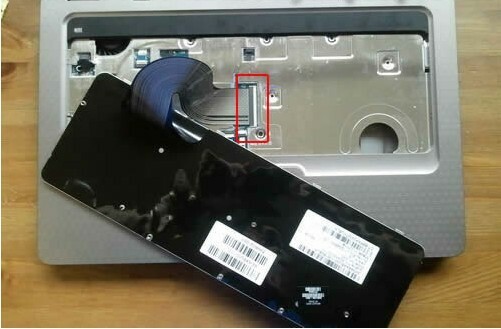 In order to remove the HP G62 / Compaq CQ62 keyboard, you’ll have to push it through the opening near the wireless card. You can use a pen or any other stick. While pushing on the keyboard through the opening by the wireless card, grab the top side somewhere in the middle and lift it up. 4. 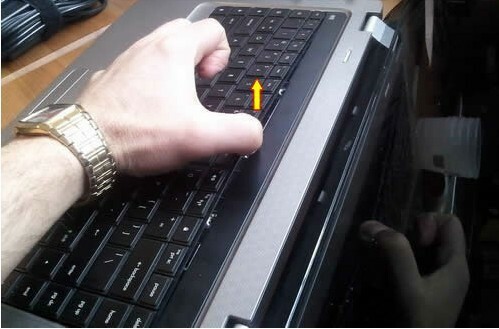 Turn the keyboard over and place face down on the palm rest. 5. Now you can access the keyboard cable connector. Before you can remove the keyboard, you’ll have to unlock the connector and release the cable. 6. Lift up the brown tab with your fingernail. The tab opens up at a 90 degree angle. Now you can release the keyboard cable. 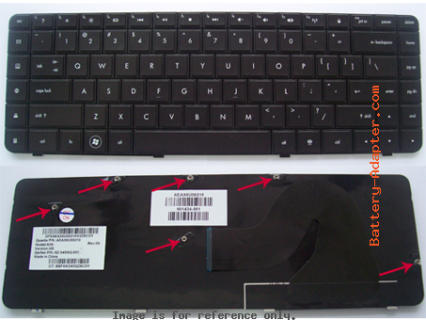 Now, you can remove the HP G62 / Compaq Presario CQ62 keyboard. Reverse the procedure to install your new HP G62 / Compaq Presario CQ62 keyboard.